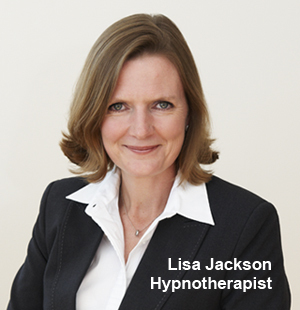 I’m Lisa Jackson, a fully qualified clinical hypnotherapist offering one-to-one hypnotherapy sessions in Croydon (south London) as well as discounted sessions via Skype. I founded Quiet Medicine 12 years ago because I wanted to provide my clients with a caring and supportive environment where they’d be inspired and empowered to change their lives for good. Since then I’ve enabled hundreds of clients to quit smoking, lose weight, stop nail-biting, overcome infertility, conquer phobias, gain confidence and beat exam nerves. Hypnotherapy offers rapid results: by using a solution-focused approach, many issues can be resolved in as few as three or four sessions. I know that it’s important for my clients to get to know me before committing to therapy which is why I offer a free, no-obligation, 20-minute phone consultation. For more information, click on the issue relevant to you. I am a weight-control expert and the best-selling author of Adore Yourself Slim, Running Made Easy and Your Pace Or Mine?, which have received very favourable reviews from magazines and newspapers. I’m a very experienced HypnoBirthing: The Mongan Method™ teacher, having taught over 400 couples and attended five births. I have lectured to midwives about HypnoBirthing at five major London hospitals, am a member of Croydon University Hospital’s Maternity Services Liaison Committee and am a trained doula (birth companion). To ensure therapy can fit in with your schedule, I offer early morning, daytime and evening appointments. Quiet Medicine is featured on Findatherapy.org.